I think Catherine Anselmi ran quite a big workshop for a while - I am wondering where all her stuff is. Ev can we start her a Gallery that includes the CL shapes they used? 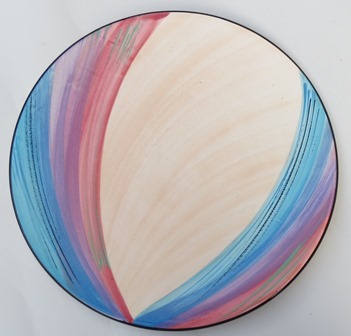 A Rancich Gallery would be great too..
Catherine Anselmi pottery is very collectable. Her designs and use of colour amaze me. 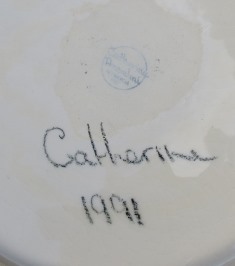 Catherine was also an extremely fantastic studio potter before she started her commercial business and how I would love a piece of that ware! Yes I will start a gallery for her work when I get time. Lots to do.